Our goal at Ryder Fleet Products is to help everyone on the road operate safely and remain in compliance with regulations. That’s why we created the Ride Safe blog; to easily discuss fleet maintenance tips and solutions, whether you maintain your own fleet, run vehicles, or manage warehouses. There has been an increased emphasis on retro-reflective sheeting with the CSA, and today we will walk you through how to properly use and apply it. Particularly there is an increased focus on the Federal Motor Carrier Safety Regulation 571.108 Standard No. 108. Regulation 571.108 covers lamps, reflective devices and associated equipment. 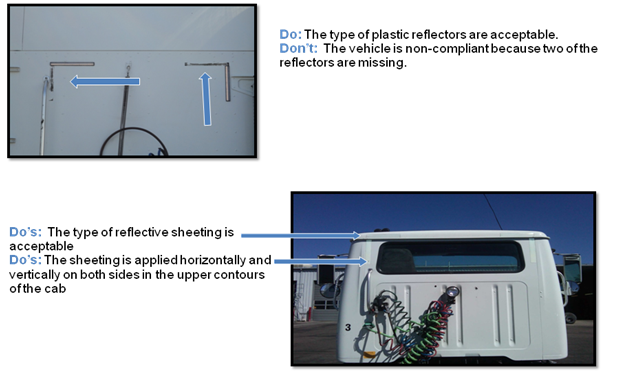 The purpose of retro-reflective sheeting (conspicuity tape or plastic reflective material) is to increase the visibility of vehicles and to ultimately reduce traffic accidents, injuries and deaths. Conspicuity tape is effective in all scenarios with reduced visibility, both in daylight and in darkness. 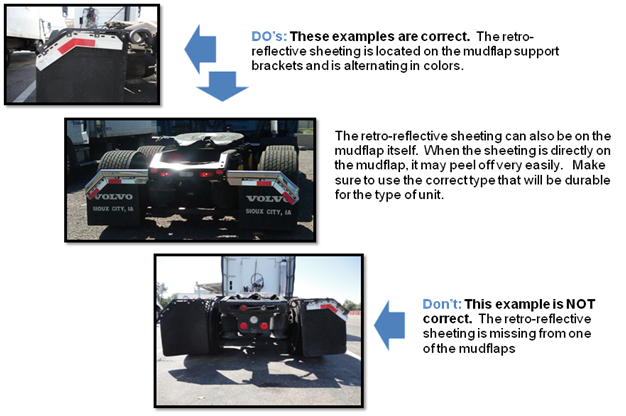 We recommend the following retro-reflective products: Truck-Lite Tape, Grote Conspicuity Tape, Fleet Engineers Angled Reflector Strip and Fleet Engineers Straight Reflective Strip. This entry was posted in Maintenance Tips, Regulatory Updates, Safety Topics by ryderfleetproducts. Bookmark the permalink.